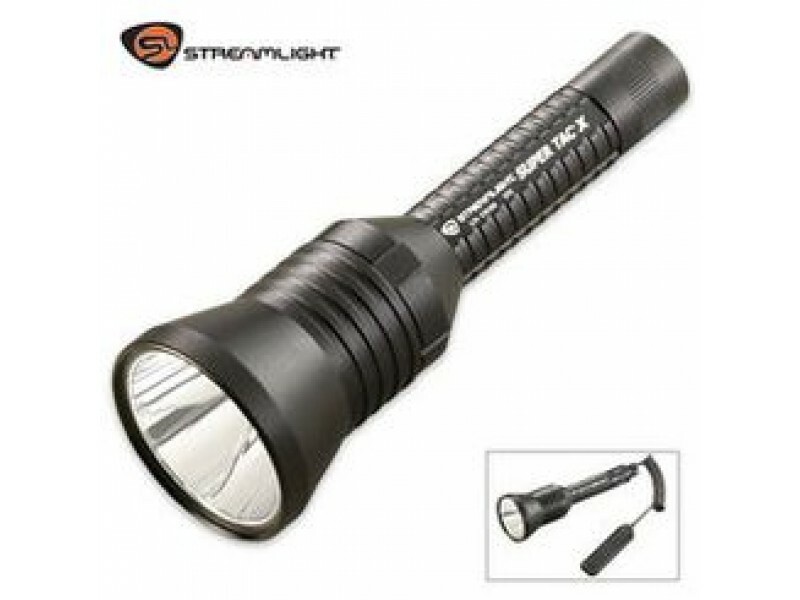 Buy Streamlight SuperTax X LED Tactical Flashlight Wi , from Budk - RBC VISA for $161.99 only in My e-commerce. High and low intensity modes, strobe mode and the latest in power LED technology. C4® LED, with a 50,000 hour lifetime. Unbreakable polycarbonate with scratch-resistant coating. O-ring sealed. 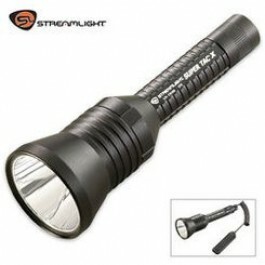 3 modes: High - 40,000 candela peak beam intensity, 200 Lumens, 2.5 hours runtime. Low - 2000 candela peak beam intensity, 10 Lumens, 50 hours runtime. Strobe. Deep-dish parabolic reflector produces a long range targeting beam with optimum peripheral illumination to aid in navigation. Optimized electronics provide regulated intensity. Two 3 Volt CR 123A lithium batteries, with a shelf life of ten years. Multi-function, push-button tactical tailswitch. One handed operation of momentary, variable intensity or strobe mode. IP X4 rated design. Two meter impact resistance tested. All openings o-ring sealed to resist moisture. Serialized for positive identification. LED Solid State circuitry provides regulated light output throughout battery life. Removable pocket clip. Fits Streamlight 69100 Rail Mount. Operates with remote switches. Weight: 7.1 oz (200 g).